Najar’s paintings are sold worldwide and have been featured in exhibitions throughout Israel, Canada, and the United States. Born in 1962, Najar grew up in Israel. His teachers recognized Najar’s artistic skills, but his family was less supportive of Najar’s talent. “In my family there was no such thing as an artist or painter. The closest thing to a painting we had at home was a tapestry,” Najar says. 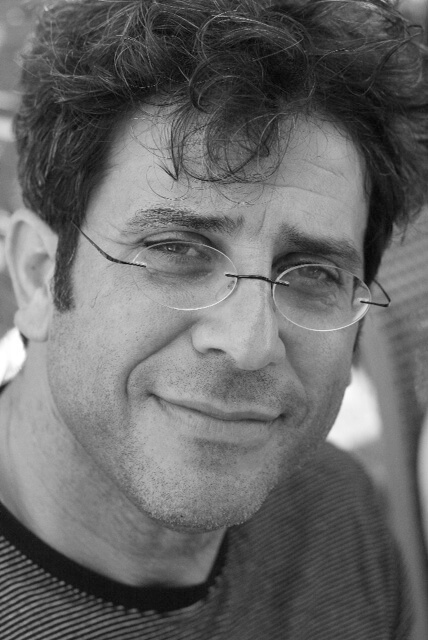 Najar attended Bar-Ilan University from 1987 to 1990, where he earned a Bachelor of Science in Social Sciences. With his artistic pursuits stymied, sports took over Najar’s life. This eventually led him to an exercise facility that also served as a school for Krav Maga, the hand-to-hand combat system used by Israeli defense and security forces. Najar took an interest in the martial art, and soon after met Imi Lichtenfeld, the creator of Krav Maga. The two became fast friends despite an age difference of 50 years, and Najar endured intense training to become a coach and leading figure in Krav Maga. Najar taught Krav Maga for 20 years. During his many conversations with Lichtenfeld, his master often told him that he “would be surprised by what you’ll find inside you.” This prophetic musing came to be when Najar visited a museum where, upon viewing a painting by Pierre-Auguste Renoir, felt his passion for art reawaken and decided he had to learn how to paint. The artist didn’t let the critique deter him. In 2003, renowned Israeli artist Itzchak Tarkay began to mentor Najar. The two artists painted together until Tarkay’s passing in 2012. Najar also learned from Moshe Rosenthalis, a Lithuanian artist who was a soldier and illustrator during World War II before immigrating to Israel. Today, Najar continues to paint at his studio located in Israel. Najar coins his vivid portrayals of nature as “Contemporary Expressionism.” The artist says he does not base his scenes on actual places, but that about 40 percent of his technique leans toward abstraction. Instead, Najar borrows aspects from reality and combines them in his imagination. Najar embraces the philosophy that beauty is everywhere, and that one does not need to travel far to see something worthwhile. Characterized by coiled brushstrokes, rippling patterns, and saturated hues, Najar uses nature and his love for artists like the Impressionists and Post-Impressionists as inspiration. Najar paints spontaneously, instinctively choosing colors to express his emotions. Utilizing impasto and rubber brushes, Najar uses color and texture to define the relationship between light and shadow in his paintings. Often focusing on landscapes, his compositions feature themes of reflection by utilizing water sources, the setting sun, and shadows. He also paints figures and still lifes, focusing on bright colors that are deepened by heavily contrasting shadows. While he doesn’t consider himself a philosopher, Najar believes that to become an artist, one doesn’t need to attend art school. Instead, one simply has to look around and let nature be an instructor. He says that the modern world is so busy that everyone should slow down, and uses his art as an invitation for viewers to stop and breathe. “I try to give you something where your soul can feel at home,” Najar says. To learn more about David Najar, you can visit the artist’s website.